The Schnauzer Scoop, our quarterly newsletter, will help keep you informed on the latest Miniature Schnauzer news from the doggy world. So, if you own a Miniature Schnauzer or are thinking about buying one, be sure to sign up for it. Sent out quarterly, our e-zine will keep you informed and entertained. You'll find life-saving dog tips, training articles, yummy homemade dog recipes to try yourself, dog contest announcements and giveaways, and a whole lot more! Sign up below. "Hear Ye..... Hear Ye..... Get the Scoop Here!" 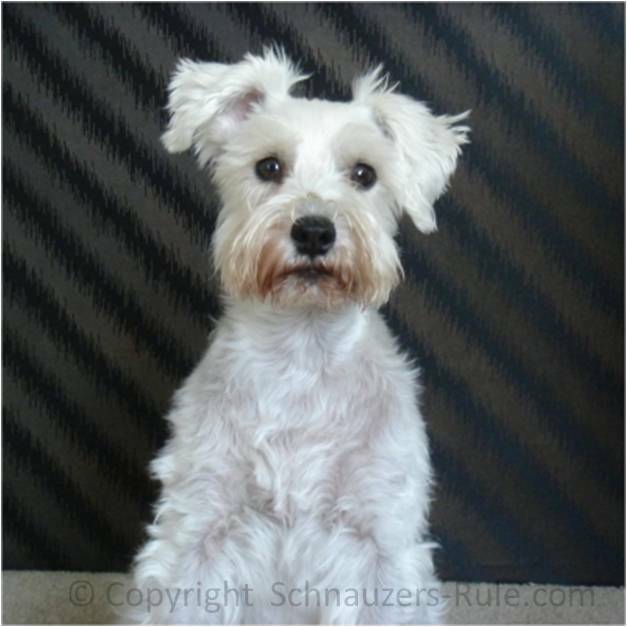 Mini Schnauzer owners are quite well aware that the Miniature Schnauzer is like no other dog breed. These super intelligent pups are completely devoted to their family and a joy to own. Obedient? You bet! And with their child-like mannerisms and super affectionate ways, Miniature Schnauzers make the perfect dogs to own for the simple pleasures of companionship. "If it's not a Miniature Schnauzer..... it's just a dog"
UPDATE: Since we use other social media to communicate with you daily (our blog, facebook, twitter, and Pinterest) our once monthly ezine will now only go out about 3 or 4 times a year (unless we need to make an important announcement to you right away). 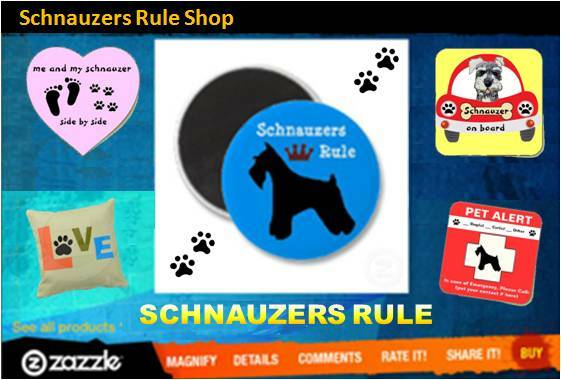 If you do not have an account on facebook you can still keep up with our posts on our Schnauzer Rule fan page feed below. We aren't like some sites that send out junk emails every day trying to sell you something. That's not what we're about. Instead our newsletter is sent out to provide you with updates on new and interesting articles we've posted, inform you about important dog food recalls or alerts, as well as answer some of your questions and/or share a heart-warming tale or two. We sure hope you will sign up for The Scoop and as always, we love hearing from you and want your input. So, if there is any information you would like us to include in an issue or perhaps you have a story you would like to share with our readers, please Contact Us.